Hey, the iPhone is a little computer! What do you do with little computers? You stick ’em in racks and make big logical computers! 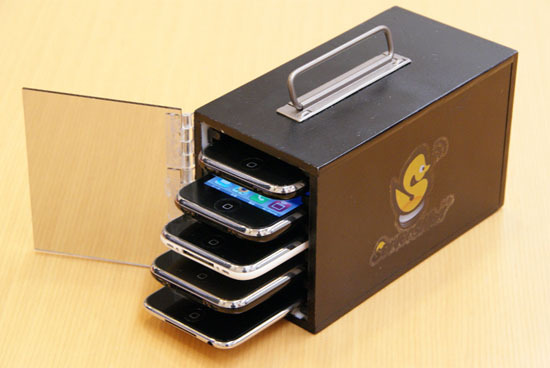 Imagine being able to harness the awesome computing power of five iPhones to … umm … do stuff. Maybe run a web server from your iPhone? Huh. I’ll have to get back to you on this one.